It is a common problem for iPhone users to remove Apple ID from iPhone and other iOS devices. Users have no exact idea of how to fix it. In this article, I will guide users how to remove the Apple ID from iPhone or iPad easily. I would like to recommend you a perfect software-Tenorshare 4ukey, which is compatible for many iOS versions, including iPhone6/ 6s/6s Plus, iPhone7/7 Plus, iPhone 8/8Plus, iPhone X, iPod and iPad. You can follow this article and remove Apple ID from your iOS device very quickly. People want to and need to remove their Apple ID for many reasons. For example, you got a new iPhone X and want to remove the Apple ID from the old iPhone; you lost your iPhone or your iPhone was stolen by a theft; you sent your iPhone to others or sold your iPhone to a second-hand store; you forgot your Apple ID or the password. Or, you bought a second-hand iPhone from the store and knowing nothing about the Apple ID that created by the former owner. Anyway, for the sake of your personal information security and data safety, you need to remove the Apple ID from iPhone or iPad if you no longer use it. But do remember to backup the data before you remove the Apple ID from your iOS device. There are many solutions for removing Apple ID from iOS device. But most of them require you to download iTunes or need to remember the Apple ID password to remove the Apple ID. So here comes the perfect tool to remove the Apple ID - Tenorshare 4ukey. No iTunes? Forgot your Apple ID password? It's ok. you just need to download Tenorshare 4ukey on your computer and you can remove the Apple ID from iPhone/iPad in just a few seconds. It is easy to use and very convenient. If you don't know how to use it, I will explain every single step for you. Step 1 Firstly, download Tenorshare 4ukey on your computer and launch it, connect the device to computer, then the software will detect the device automatically. Step 4 Once the process finished, the Apple ID has been removed from iPhone successfully. Then you can set up a new Apple ID and log in with it. When using Tenorshare 4ukey to remove Apple ID from your iPhone/iPad, there are several friendly notifications. Please carefully read about this part. 1. Find My iPhone is off: Tenorshare 4ukey will remove the Apple ID smoothly on every idevice. But a data loss will happen for iOS 10.2 and below. 2. Find My iPhone is on: 4ukey can remove the Apple ID but also a data loss will happen for iOS 10.2 and below. After removing Apple ID successfully, do not restore factory settings. Otherwise the device can just be activated with the former Apple ID. 3. For inactivated devices or the iOS 11.4 and above that has turned on Find My iPhone, this function is unsupported. This is a video link about how to how to remove Apple ID from iPhone/iPad with Tenorshare 4uKey. 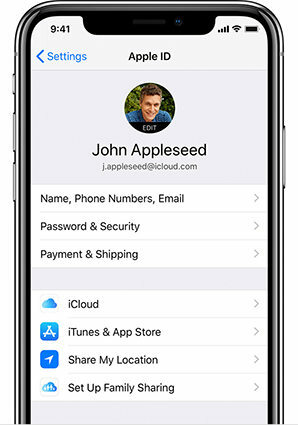 If you want to remove Apple ID from device, the best situation is that the iPhone is in your hand and you remember your Apple ID password. In this case, you can use the easiest way to remove the Apple ID from your iPhone/iPad, just by setting your device. If you don't know how to do it, you can follow this guidance to remove the Apple ID from your iPhone or iPad. After these steps, the Apple ID has been removed. And you can sign in with the new Apple ID. The previous solution requires device only, but for this one, it's a little more complicated. It requires both device and Apple ID password. If the device is not in your hand or you forgot the Apple ID password, then this solution can not be used to fix your problem. Here is the guidance of this solution and you can follow to remove the Apple ID from your iPhone or iPad. After these steps, the Apple ID will be removed from this iPhone. You can log in with a new Apple ID. Apart from the above solutions, you can also remove the Apple ID from iOS devices by resetting all devices settings. This solution requires only device. It doesn't matter whether you remember the Apple ID. It is also quite easy and you can fix your problem in a short time. I f you don't know how to reset the settings, please follow the steps below. When all steps finished, the Apple ID is no longer associated with the iPhone. You can log in again with new Apple ID. A common case is that users forgot the apple ID account or Apple ID password. In this case, they may prefer to find out the Apple ID, instead of removing the Apple ID from iOS device. So here I will introduce you a tool 4ukey-Password Manager . With this tool you can retrieve the apple ID and the password. This tool can also help to find out other passwords. Maybe you are not familiar with this software, but it can help you a lot on password issues. You can follow the guide to learn how to use this tool and finally fix your problems. Step 1 Download 4ukey-iOS Password Manager and install it on your computer. Connect the device to the computer. Step 2 Click Start Scan to scan the apple id and password in your device. Step 3 When scan process finished, you can preview the Apple ID and other passwords. In this way you can preview your Apple ID and can export it to your PC. With this tool you will no longer need to worry about forgetting Apple ID. Tenorshare 4ukey is an excellent choice for users to remove Apple ID from iOS device. It is convenient to use and can save users a lot of time. In addition, 4ukey also has many other software which enable users to fix many other password problems. 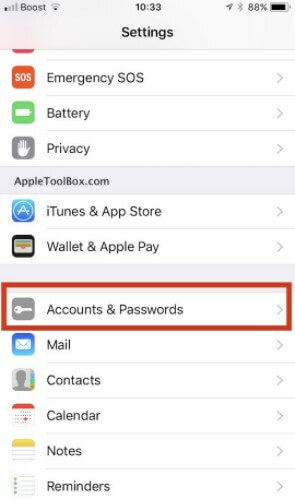 For example, 4ukey-Password Manager can help to manage kinds of passwords, 4ukey-iPhone Backup Unlocker is designed for decrypting iOS backup password. In short, 4ukey is a very complete and professional tool for password issues. It can satisfy your needs at most times.